Is the indoor air in your Granbury, TX home too stuffy and moist? 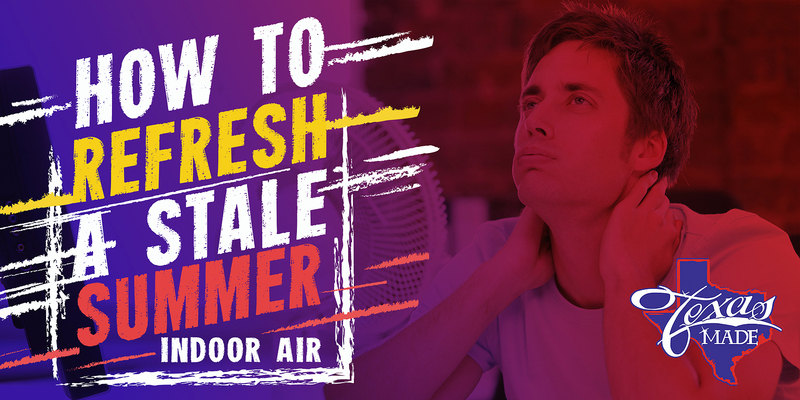 An indoor air that is too dry, stale and suffocating is the result of the hot summer weather combined with poor ventilation, high indoor humidity and the presence of air pollutants in the air. Good thing, you do not need to live the entire season with this trouble. Here is a list of some tips to turn your indoor air to a whole new refreshed form. The air that circulates in your home passes through the air filters so that air particles and contaminants are removed. To maintain the production of clean and healthy air, the air filters need to be replaced or cleaned regularly. Failure to do so will lead to filthy and soggy indoor atmosphere. Many homeowners would crack their windows wide open for a long time to let in fresh air. But did you know that this can harm your indoor air quality by allowing allergens and contaminants to enter your home? If you have a plan of opening your windows, do it for a short time only and while your air conditioner is off. If you want to get rid of stale indoor air, make use of your fan or simply change the thermostat setting to Fan Auto mode. Doing so allows for the continuous circulation of indoor air. Just make sure that you are backed up with clean air filters to prevent air contaminants and allergens from flowing with the air inside. Additionally, keeping the fan ON will give an extra cooling sensation to anyone who stays inside. This way, you can set the temperature a bit higher to save energy. If you have a serious case of stale indoor air, you will need a long-term solution which comes in the form of air filtration systems or dehumidifiers. Dehumidifiers secure your indoor air quality and keep it fresh and clean twenty-four hours a day. There are different types of air filtration system and to find the one that fits your home, you need to ask your trusted indoor air quality specialist. With poor indoor air quality, you can be ten times more at risk of respiratory sickness and allergens. To keep in touch with the quality of the air you breathe in your home, we recommend you schedule a professional indoor air quality inspection with our trusted HVAC technicians. Call Texas Made Air Conditioning and Heating today!